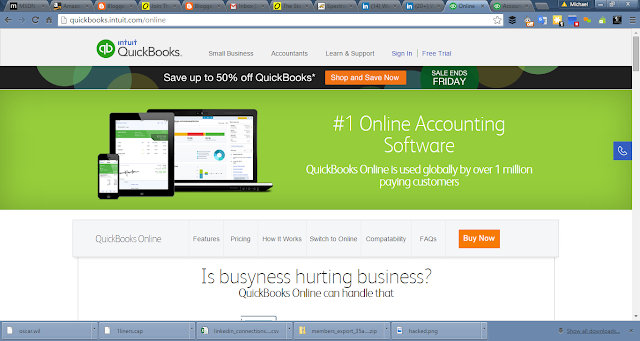 I use QuickBooks for all our accounting and tax needs. It also has a very neat and lovely way of sending my clients an invoice. 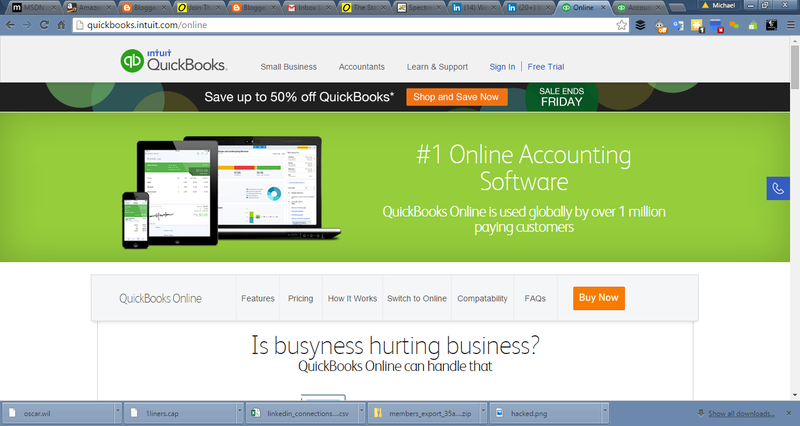 Since I moved to using QuickBooks people pay faster as they get a good feel of how well structured we are. I spend $15/month on it and have been using it for over a year. If you are reading this blog post from your email, it's MailChimp that made that possible. I use MailChimp for my email marketing. I have a list of prospects who have contacted us about our training services and I keep in touch with them once a week to put us on their mind via MailChimp. I use it for our online Excel training class, but I am now moving that one completely to Udemy as I am getting way more positive responses there. I also use it for our occasional keep in touch mails with past participants of our trainings. And you know the best part? I automated most of these. Saves me a lot of time and help me to keep marketing even when I'm buried under work. I currently spend $45/month on Mailchimp and have been using it for over 2 years now. I currently schedule tweets, Facebook posts and LinkedIn posts to both my personal and company accounts using Buffer. That way I get some attention grabbing activity going on while I am busy offline. Most of my clients find me online and LinkedIn has been the most generous social media site to us. It is constantly sending us clients and getting us in front of the kind of audience we want. So I am happy to spend on looking active online. I spend $10/month on Buffer. My online pride is my Twitter account that currently has over 46,000 followers. I never believed that I could open a Twitter account and watch it grow from zero followers to over 46,000 followers, and an account I almost closed out of frustration. Since I realise the growth potential in that account, I have since taken special care of it. I bought FollowLiker to automate all my activities on it -- including tweeting and following interesting people. It is the main source of growth for my blog email subscription. I bought it for $57.99 but pay no monthly subscription charge. I use Join.me for our webinars, online/remote customer support and demo. I haven't been using it much lately as I have been swallowed up in too much work I haven't done any webinar in the last three months. I spend $25/month on it. I currently have over $50 credits in my LinkedIn advert account. I use LinkedIn to promote our training services and company page. I have spent over $200 on LinkedIn ads (including free credits from LinkedIn). I occasionally use Google Ads to promote our services but it hasn't been very productive compared to LinkedIn and Facebook. I have spent (I think) over $100 on Google Ads. I also use Facebook ads. It's how I grew our official Facebook page to over 400 likes and marketed some of our training classes. All my spend on Facebook ads is well over $150 (mostly free credits from Facebook). I use Amazon Ads to push my book sales. I am currently running a $100 advert campaign. And those are the services I pay to use for pushing my business and marketing forward. I also use some other services that are free. A great article with some excellent resources. Thanks for the article. 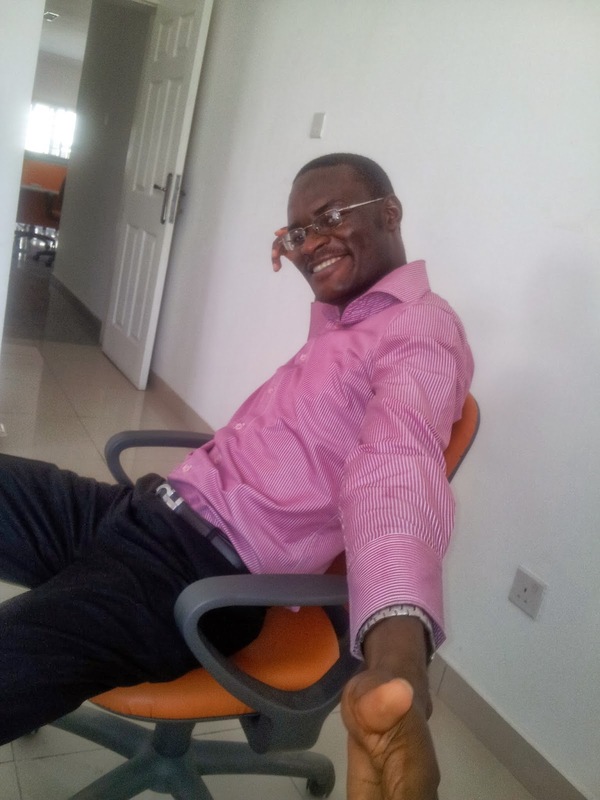 I am interested in using Buffer to manage my social media accounts. How much does it cost? Hi Jane. It costs $10/month.